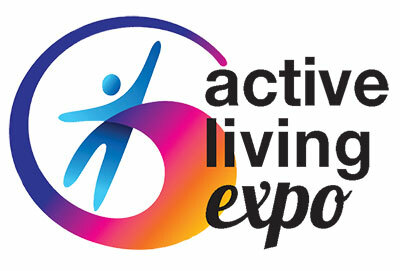 The Active Living Expo, sponsored by The Spokesman-Review is this Saturday, April 14, from 10am-4pm at Northern Quest Resort & Casino in Airway Heights. This fun, educational and entertaining day features more than 40 exhibitors to help you plan for retirement, discover new ways to stay healthy and active, and plan your next vacation. 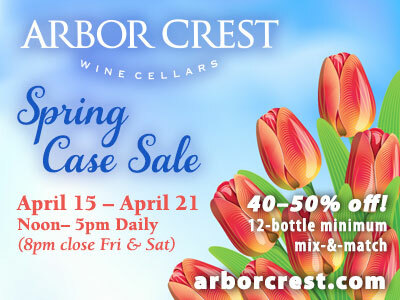 Enjoy a special yoga demonstration, wine tastings and free seminars throughout the day. Enter to win hourly giveaways including a Free Massage or Facial compliments of Massage Envy (valued at $90 each) plus one grand prize 'Stay and Play' package at Northern Quest Resort & Casino (valued at $400). Admission is $5. 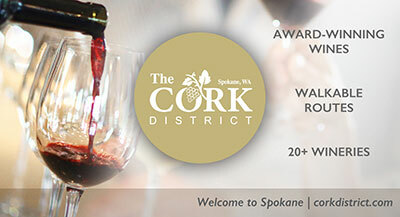 To reserve tickets, visit www.spokane7tickets.com. 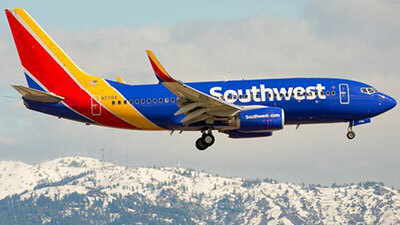 Southwest Airlines is making it easier for travelers to get to Spokane. Starting yesterday, a daily nonstop flight from Spokane to San Jose will begin and run year-round. Having a nonstop from San Jose to Spokane will also make it easier for business and meetings travelers trying to connect to Phoenix, Las Vegas and Los Angeles. The new route marks the latest additions to the airport's list of nonstop routes. Last year, Southwest Airlines started seasonal nonstop flights from Spokane to San Diego and a year-round nonstop to Sacramento. United Airlines added two nonstops, Spokane to San Francisco and Spokane to Chicago, American added Dallas and Delta Air Lines added nonstop service to Los Angeles and Boise. The Southwest Airlines San Jose flight departs San Jose at 5:25pm, arrives Spokane at 7:25pm, and departs Spokane at 6pm, arrives San Jose at 8:05pm. A new Business Success Tip feature will now appear in your How's Business newsletter, thanks to Meridian Construction and Development. These tips are designed to inspire you to greater success. If you have one you'd like to share, please send it to info@spokanehowsbuisness.com. Being an entrepreneur takes hustle. And here's the problem: Sometimes we think hustle is about becoming a workaholic or adding a lot of stuff to our lives. Hustle the right way. It's not about doing more, it's about doing what you need to do. Free Cone Day at Ben & Jerry's tomorrow! 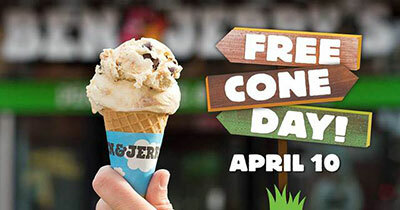 It's Free Cone Day tomorrow, April 10, at Ben & Jerry's Scoop Shop in RiverPark Square in downtown Spokane. Fans are invited from 12 noon to 8pm, to join in on the company's long-time tradition of thanking fans for their commitment and ongoing support. The company was founded on the idea that business has not just the opportunity, but also the responsibility to give back to the community. Free Cone Day is a long standing tradition when it comes to benevolent acts. "We love getting involved with and giving back to our communities. It's amazing what we can do together over shared values and several scoops of ice cream," said Kari Conner, owner, Ben & Jerry's of Spokane. In addition to dishing out ice cream, Ben & Jerry's of Spokane will partner with Free Rein Therapeutic Riding to spread the word of its work with disabled kids, adults and veteran within the community. During Free Cone Day, many local media personality will be volunteering to scoop. On Free Cone Day, Ben & Jerry's expects to thank more than 1 million customers worldwide with free cones. Our local Spokane Shop will scoop between 8-9,000 scoops during the event. 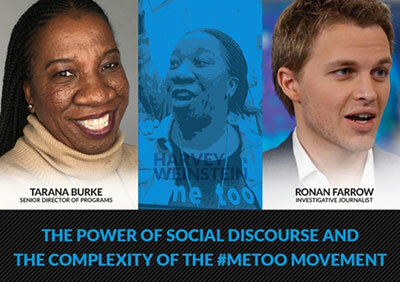 New York social justice activist Tarana Burke, originator of the 'MeToo' movement, and journalist Ronan Farrow, who helped break the story exposing multiple accusations of assault and harassment by Hollywood producer Harvey Weinstein, will share their perspectives on their work and the movement as features of the GU's seventh Presidential Speaker Series. 'The Power of Social Discourse and the Complexity of the #MeToo Movement', is the topic of this event, to be held Friday, April 20, 7pm at GU's McCarthey Athletic Center. The wave of reported incidents of sexual assault and misconduct that followed the Harvey Weinstein expose - involving entertainment personalities, politicians, educators, and others - has brought renewed attention and awareness to the widespread nature of this behavior. The movement has demonstrated that sexual assault and harassment persist despite the life-changing effect that sexual assault and harassment have on individuals, and despite systematic efforts to raise awareness, educate and alter behavior across many environments. Burke is among those recognized as Time magazine's 2017 Person of the Year: The Silence Breakers, and Farrow, who received global recognition for his culture-shifting series of articles on Harvey Weinstein published in The New Yorker. This event is open to the public. Tickets available at all Ticketswest outlets, ticketswest.com, and at the McCarthey Athletic Center. Cost is $14 for adults, $10 for seniors, students and educators. The Spokane Home Builders Association presents the Annual Spring Spokane Home & Garden Show will begin this Friday, April 13 and run through Sunday, April 15 at the Spokane Convention Center. The show focuses on building, renovation, landscaping, design and decor. For more information, visit www.spokanehomeshows.com or find them on Facebook. Summit Rehabilitation Associates has hired three new employees. Kari Duclos has joined as a physical therapist. Duclos previously worked for North Spokane Physical Therapy. David Enger has joined as a physical therapist. Enger previously worked for Cornerstone Physical Therapy, in Colorado Springs, Colo. Liz Steinmark has joined as a patient coordinator. Steinmark previously worked for North Spokane Physical Therapy. MultiCare Health System, the company that operates Rockwood Clinics, and Deaconess and Valley Hospitals, plans to bring its Indigo Urgent Care clinics to the Spokane market. The first clinic will open in North Spokane next fall, with others to follow. MultiCare currently operates 16 urgent care clinics in the Puget Sound area. Let's get this place cleaned up! Spring has arrived, and the Downtown Spokane Partnership invites you to get outside between April 16 and April 20 and get dirty downtown to help make our city center shine. Pledge to spend 15 minutes by yourself, or with a team, cleaning up problem areas you see. Clean-up spaces around your home or place of business, or contact the Downtown Spokane office to coordinate a team clean-up and receive supplies and assistance. Get all the details at the website downtownspokane.org. NorthEast Washington Educational Service District 101 has named Andrea LaJiness, paraeducator at Riverside Middle School, the region's 2018 Classified Employee of the Year and has nominated LaJiness for state Classified Employee of the Year.